As you walk across the cobbled patio and past the medieval well in the courtyard, you get the feeling that you could easily have travelled back in time. 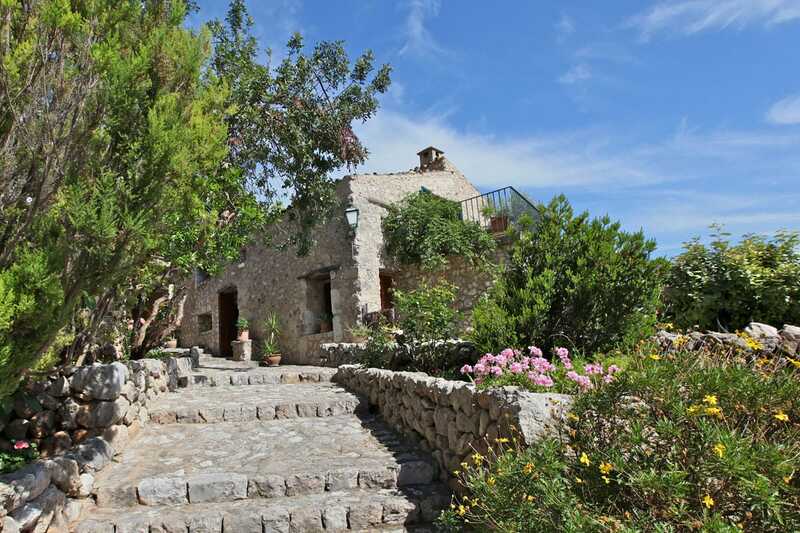 The backdrop of the Tramuntana mountains amplifies the ageless feel, and provides some of the most breathtaking vistas. The experience of staying here is focused around relaxation and tranquillity, backed by a high standard of customer service from the friendly staff. It is hard to go far in their gardens without coming across some seats or a hammock, perfectly positioned to tempt you into stopping and soaking up the views for a while. They are, quite rightly, very proud of their restaurant, which serves a largely Mallorcan range of dishes, but with an Italian twist. The vast majority of produce used in the kitchen is fresh and from their own grounds. All 12 rooms have great views, are individually decorated, and feature some wonderful personal touches, such as fresh flowers and natural toiletries. 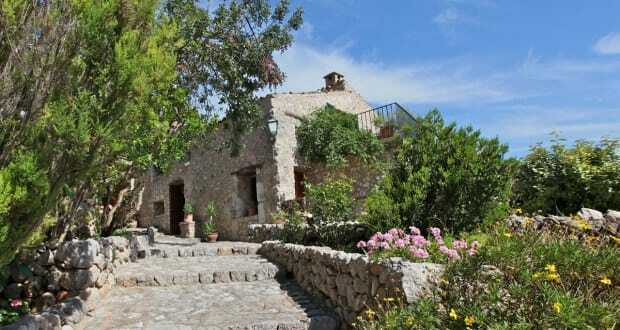 Finca Es Castell succeeds in providing a wonderfully traditional experience. 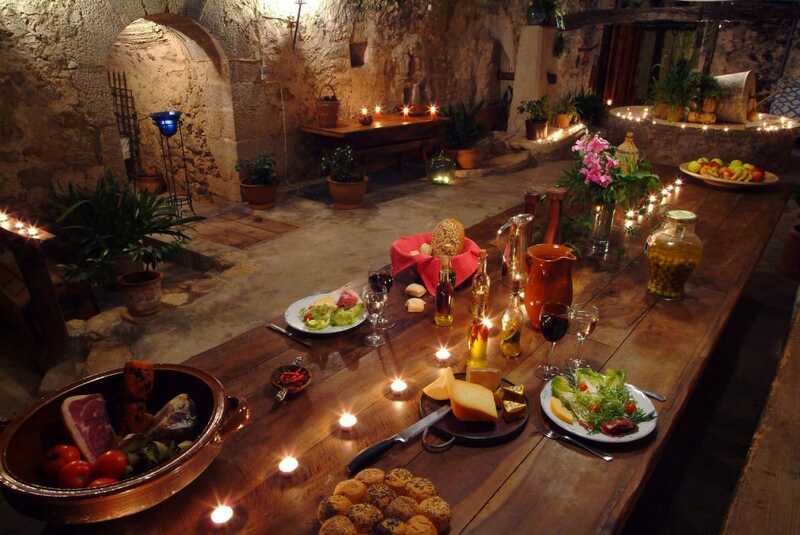 We Love… enjoying dinner on the alfresco terrace. 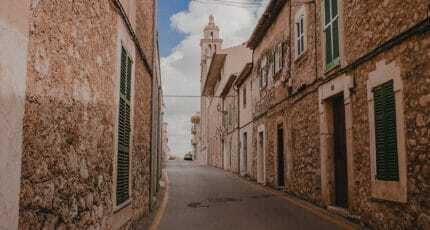 Why you should stay here… for a more authentic Mallorcan experience. Good to Know… You can join them on their weekly trip to S’Olivar market in Palma. 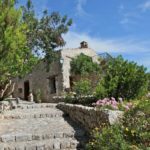 We hope you have found this article about Finca Es Castell useful and that you have many memorable stays in Mallorca as a result of our recommendations. 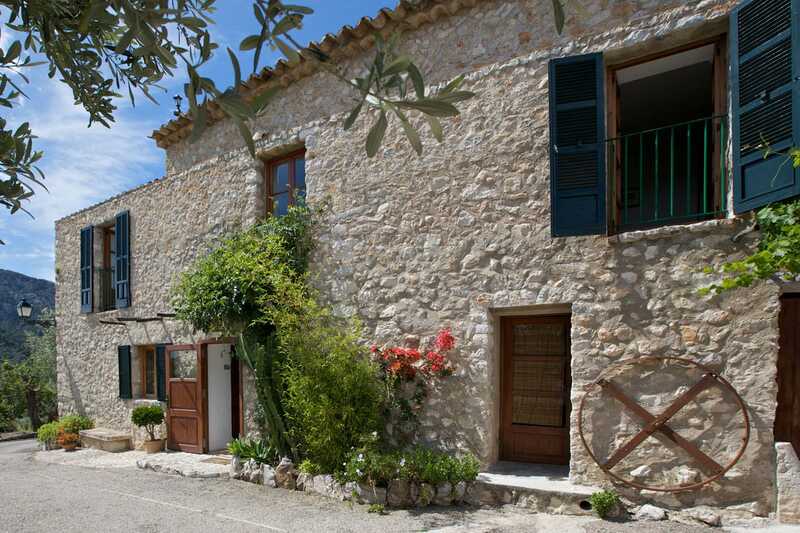 We hope you have found this article about the Finca Es Castell useful and that you have many memorable stays in Mallorca as a result of our recommendations.